Here’s What’s New in 2013! Believe it or not, I spent New Year’s Eve in bed with the flu… or something just as bad. Not the best kickoff to 2013, eh? But while I could still hold my head up, I spent some time looking for gifts in the New in 2013 Hunt. I don’t know if it was my fuzzy head or what, but I’ll admit that there were a few items I could not find. And another was so big that I could not wear it without eating more Christmas cookies and adding some Lolas! 😉 It’s a fun hunt with great prizes, and here’s a mash-up of what I did find… plus a few bonuses. 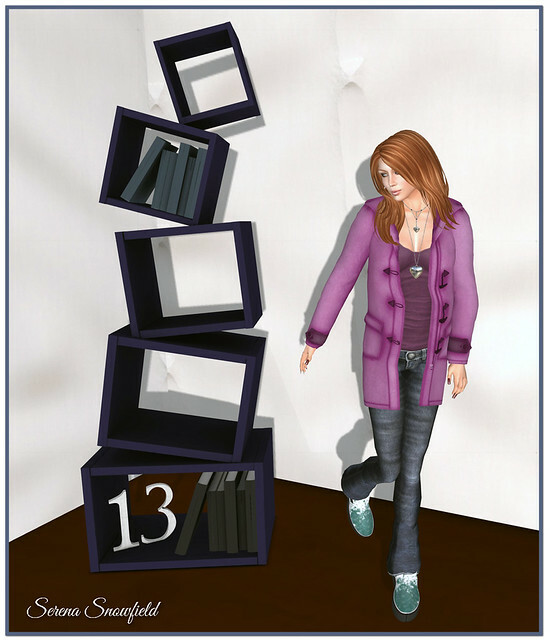 Above, I’m wearing the complete outfit, including top, pants, and sweater boots, from Shattered by Aluinn (#31). I’ve added the breezy L’Bow Flow by DRIFT (#22). 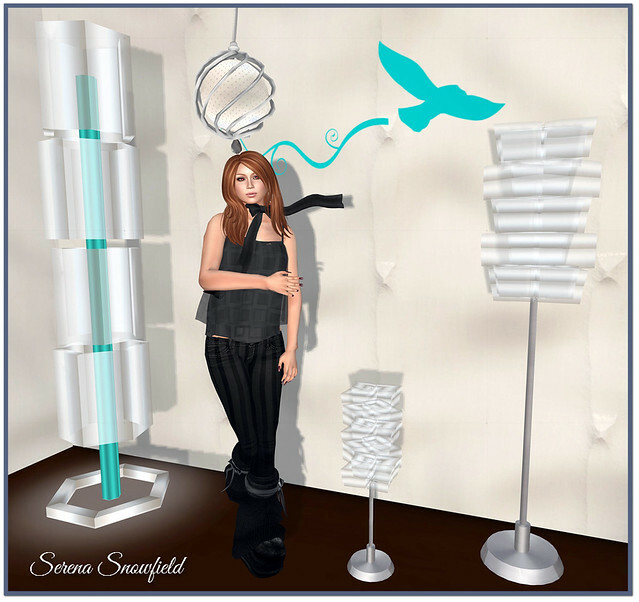 Surrounding me are 4 very stylish lamps from [CIRCA] (#4), and the Fly Away decal is by Wall Candy (#1). My pose is from a set of 3 by Demise of Flight (#24). These Black Cat Leggings are from -ATTIC- (#9), and the mesh arm warmers and cowl scarf are from . ::IRON CLAW::. 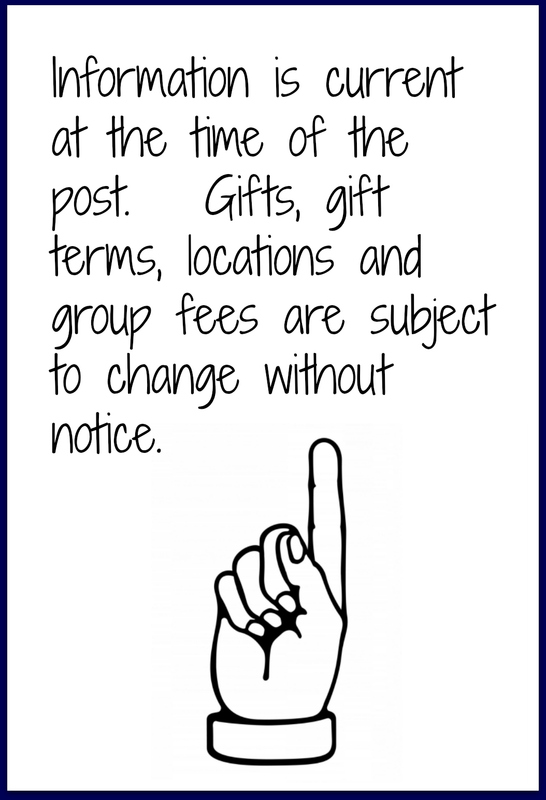 (#11). I added an Intrinsic Tank from JANE (free / 0L) and some boots by Gos (not free). The cute bunny bookcase is from [End of Daze] (#21). My pose is another in the set from Demise of Flight (#24). This lovely, LUMINOUS gown is the gift from [Liv-Glam] (#25); the bodice is mesh and comes in standard sizing. The mesh cubed bookcase behind me is from ChiC buildings (#17), and the table lamp waaay up high is from . :Senzafine (#3). I really need to get out more. So here I am sitting on my new beach house from ..:HC Creations:.. (#29). It’s perfect for a warm-weather getaway – in case you’re super sick of snow by now – and comes with several extra rezzable items (the flower boxes and some posters inside), as well as a little sleeping nook upstairs. Below, you can get a better view of my MG necklace. I added these cool sunglasses from AZOURY (#19). 2013’s so bright, I gotta wear shades! 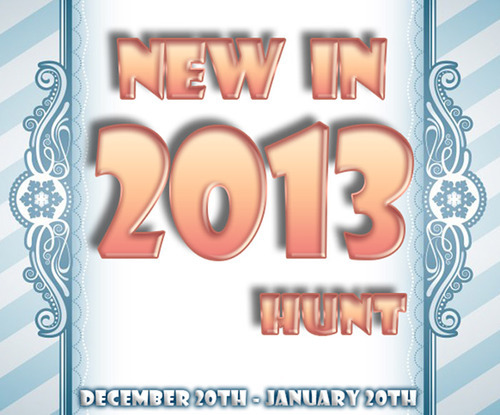 The New in 2013 Hunt ends on January 20th, so you’ve got plenty of time to find these great gifts. You’ll be looking for a blue “2013.” Please visit the official blog for hints and more information. Belated Happy New Year to all of you – I hope your year got off to a much better start than mine did!! 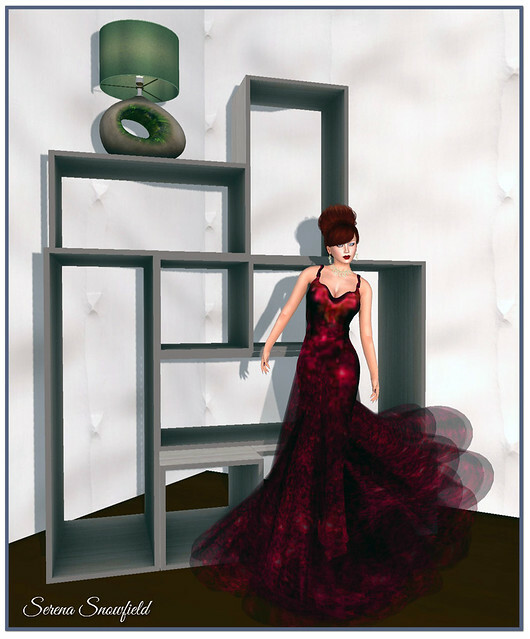 Categories: accessories, dress, events, eyes, formalwear, furniture, hair, Houses, hunts, jewelry, makeup, mesh, outerwear, pants, poses, shoes, subscribe-o-matic | Tags: 20.FIVE, Adore&Abhor, Alice Project, Atooly, Attic, Azoury, Beloved Jewelry, ChiC Buildings, ci co, Demise of Flight, drift, End of Daze Designs, fab free, fabfree, fabulously free in SL, freebie, Glitterati, GOS, group gift, HC Creations, hunt, Ikon, IRON CLAW, Jane, Liv-Glam, maxi gossamer, New in 2013, omg, Peace On Earth Hunt 5, Second Life, Senzafine, Serena Snowfield, Shattered by Aluinn, sl, TRUTH, UMEBOSHI, Wall Candy, [CIRCA] | Permalink. 😀 Hi Fabulouses! I have a few really super things to share with you today, so grab a coffee and prepare to be dazzled! (I am such a dork). Check out this pretty little leopard print frill top! You can pick this item up at the Cosmopolitan Simwide Hunt for just 10L by locating the hidden 1 Hundred Christmas decoration. I’ll add more information on this hunt at the bottom of this post in case you’d like to do the whole thing! I have paired up the Heatwave top with 1Hundred’s Warm Me Up Leggings that can be found at The Frost Fair priced at 50L. My Duh! Tall White Snow Booties are not free, but are very affordably priced at just 25L, and are available in a ton of colours and a fatpack at a discounted price. On Marketplace you can find this snuggly warm unisex scarf in a pack with 19 other colours/prints for 10L, made by VG. The skin I am in today is Izzie’s brand new group gift! It’s called Ginerva and features hues of plum, cleavage option and dark brows, which was great, because it gave me a chance to show off the Frappuccino shade of the Truth subscribo gift I showed yesterday! 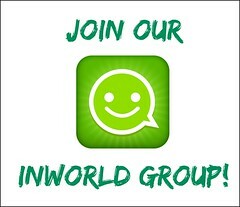 The Izzie’s group is 250L to join, but well worth it in my opinion with plenty of generous gifts! Wondering who the sweet little fuzz ball is draped over my shoulder? I am sure hoping she fares better than Madcat and Bundle#1 (let us have a moment of silence). This is Magdalene, who I am hoping is nothing like my previous hell cat Maggie that liked to bite and rip up my furniture. I picked little Magdalene up for FREE on day 24 at the advent calendar on the KittyCats Sim. You can go get one too! It even comes with a bag of food to get you started. Anyone who knows me here in SL, knows I don’t do well with Slive animals. Someone is going to remind to feed it right? He he he look at her little tongue! 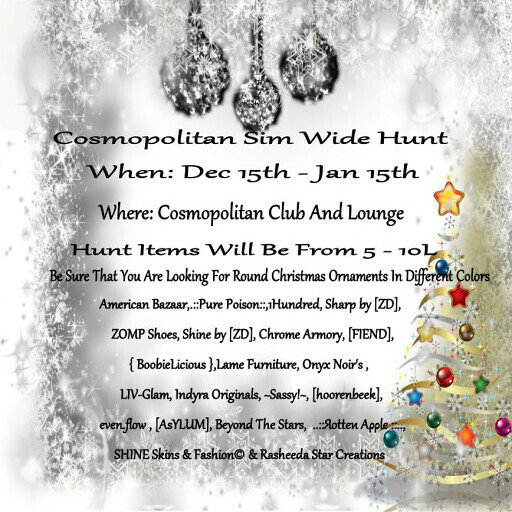 As promised, here is more information on the Cosmopolitan Sim Wide Hunt! All across The Cosmopolitan Sim until January 15th you can find hidden ornaments in all different colours with prizes inside them from the participating shops shown above. Make sure you hunt high and low – and while you are hunting, have a stop at the Sale Room! 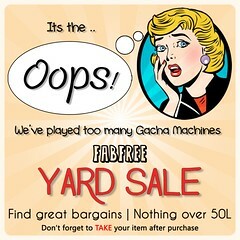 There you will find tons of low priced, high quality items. 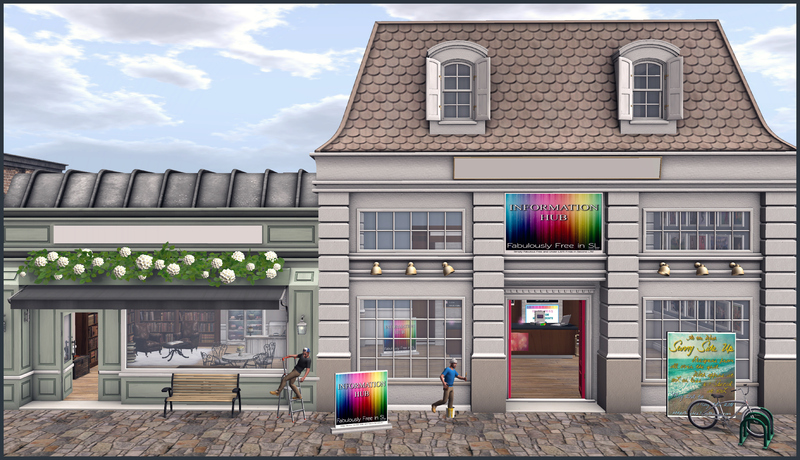 Categories: accessories, december advent, events, furry, groups, hair, hunts, Marketplace, other, pants, shirt, shoes, skins, subscribe-o-matic, Uncategorized | Tags: 1 Hundred, 10L, 1Hundred, aDORKable, Advent, Cosmopolitan Simwide Hunt, Duh!, fab free, fabfree, fabulously free in SL, free, free gift, group gift, hunt, hunt SL, Ikon, Izzie's, KittyCatS, Love Trill, Marketplace, Second Life, sl, subscribo gift, subscribomatic, The Frost Fair, TRUTH, VG | Permalink.